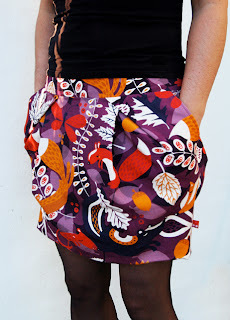 I love tulip skirts, they are hard to find in stores so I need to make most ones myself. 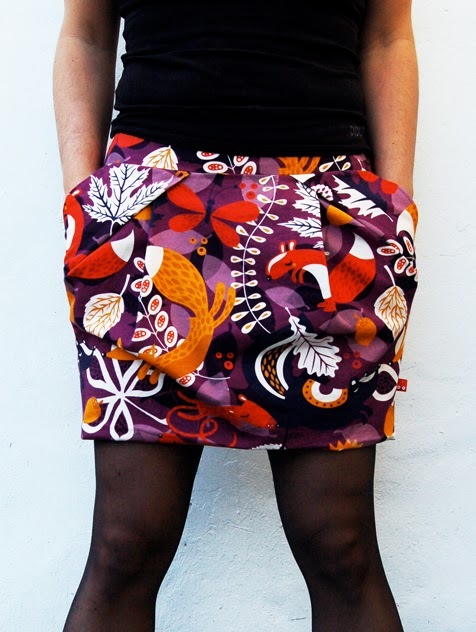 I have been experimenting with making my own patterns and think this one works well. With little pleats in front and back. 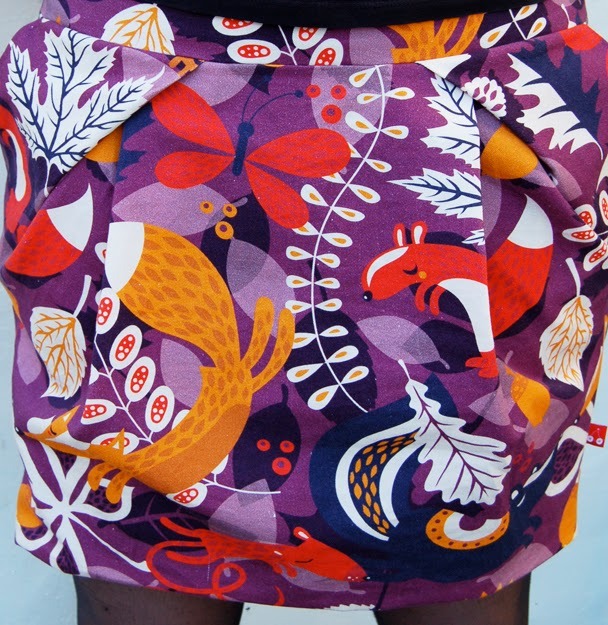 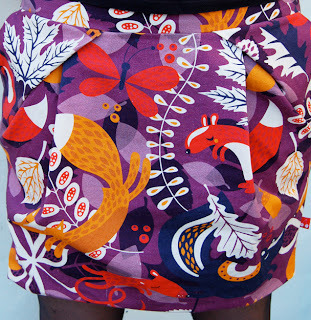 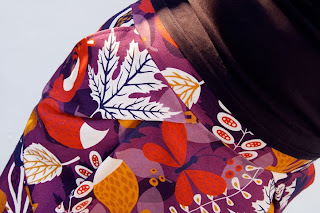 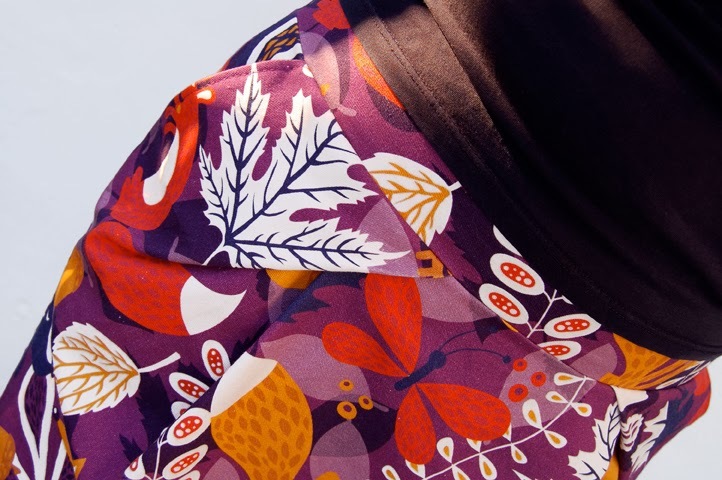 I also designed the fabric ‘Lots of Leaves’ and had it printed on this lovely heavy cotton , it’s a big scale print but I think it works really well.